11) Where Are You Christmas? Christmas Is Here! is the seventh studio album by American a cappella group Pentatonix. It is also their third full-length holiday album since A Pentatonix Christmas in 2016. 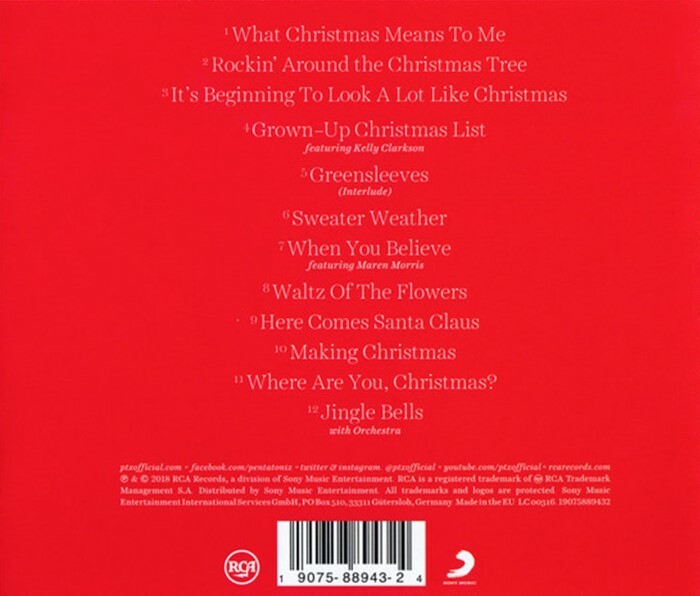 It was released on RCA Records, and the first single is a cover of "Making Christmas" from The Nightmare Before Christmas. Pentatonix has promoted the album through a tour of the same name, which started in November 2018 at The Theatre at Grand Prairie.